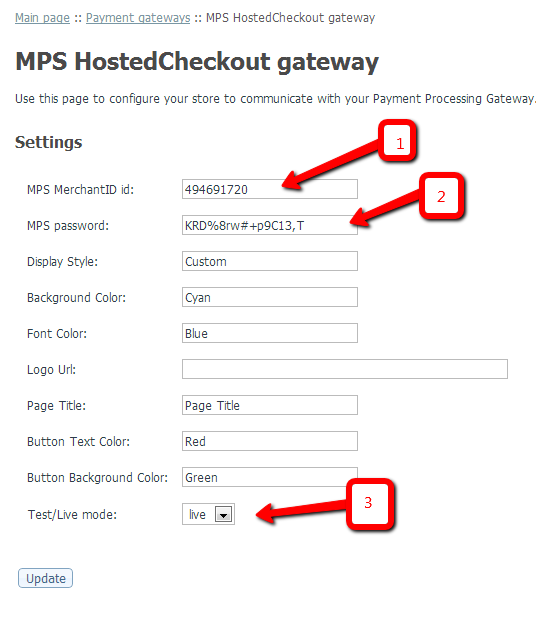 B) Configure the Payment Method on your website. NOTE: To configure your reCommerce website for Mercury Hosted Checkout you will need to have a Hosted Checkout account with Mercury. 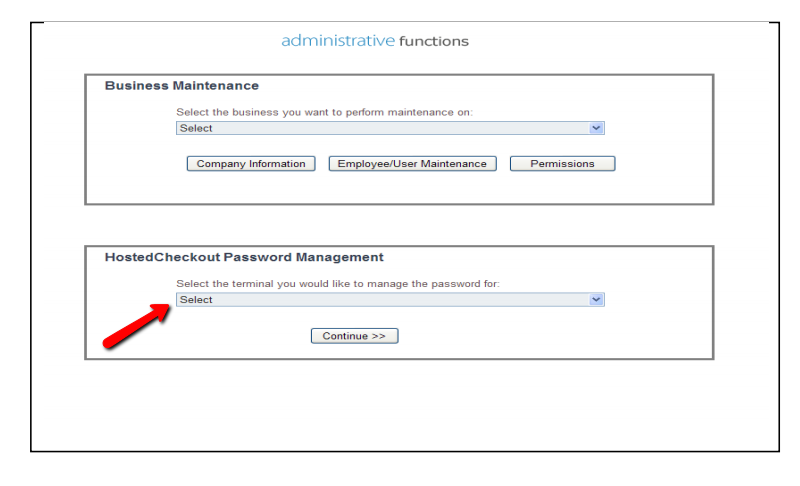 3) Under HostedCheckout Password Management, select the terminal for which you to obtain a password and click Continue. 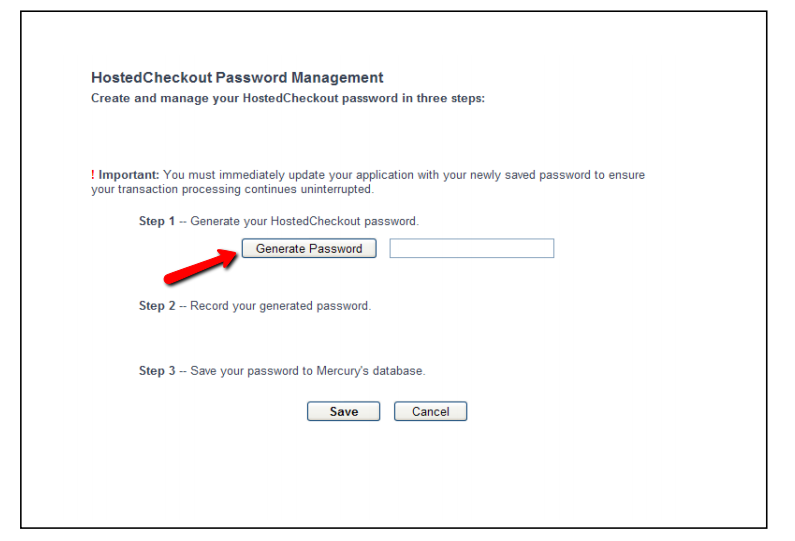 NOTE: If you have a Hosted Checkout Account with Mercury and don't see the HostedCheckout Password Management area, you need to call Mercury Technical Support Department to fix. 5) Copy the password. We will paste it in to your website admin section. B) To configure your website's Payment Method you must first Login to the Admin section of your website. 1) Add your MerchantID to the MPS MerchantID field. 3) Change the test mode to Live. How do you know all is well? Test it!! Actually, go through the entire checkout process.